The founder of Reel Carolina, Anthony Savarese, is a native to the Lowcountry. He has hunted and fished the area his entire life and believe strongly in the preservation of local wildlife. One of his favorite species of fish, the Cobia, calls the waters of South Carolina's Lowcountry home. It breeds in the rivers that wind through the shores of the Carolina coast. However, in recent years the Cobia population has been strained due to increased numbers of people targeting them each spring. 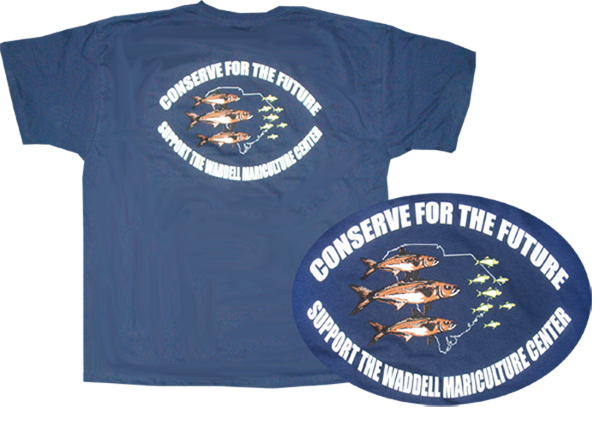 That is why a portion of the proceeds of every Reel Carolina Cobia T-shirt sold will be donated to the Waddell Mariculture Center for the continued research and preservation of Cobia Species. This is a way he and Reel Carolina can give back to the Lowcountry and its community of natural resources. By purchasing this T-Shirt you are helping preserve one of South Carolina's most precious natural resources, the Cobia, and helping to ensure its presence in our waters for generations to come.